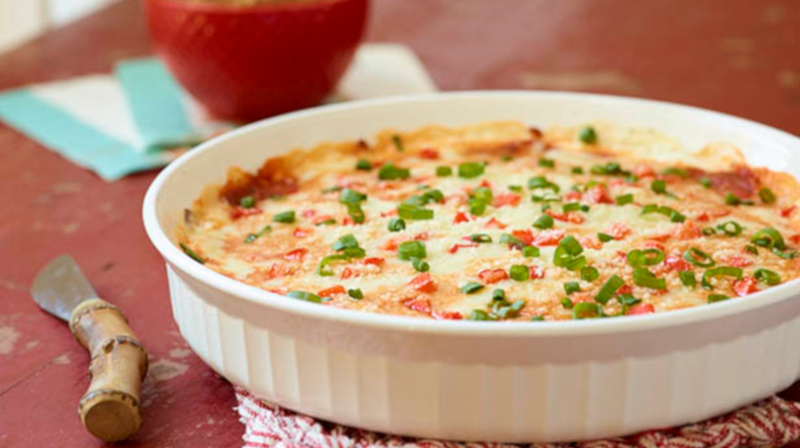 On day 2 of our 10 days of Thanksgiving, Arps Dairy would like to showcase another delicious Thanksgiving appetizer: Hot Pizza Dip. This cheesy, delectable pizza dip will add a little spice to your Thanksgiving celebrations, and what’s great is it can be paired with Arps Dairy’s French Onion Dip to offer options for those who prefer the traditional taste of NW Ohio. Combine cream cheese, Arps Dairy Sour Cream and oregano in bowl; stir until smooth.